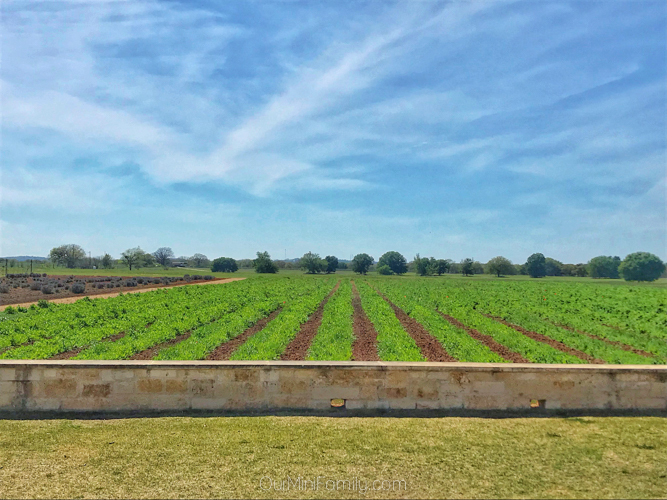 If you want to sip and savor your way through Texas wine country, look no further than Fredericksburg and tour Wine Road 290 sampling a variety of wines just about an hour outside of San Antonio, Texas. When you think wine tasting, your first thought may not be the Texas high plains. But it should be! Here in the southwest, we are constantly spoiled with delicious Mexican and southern cuisine. Between the authentic Mexican food you can't get anywhere else north of the border, and the Southern implants moving out west to Phoenix and bringing their grandmother's amazing comfort food recipes with them, one thing that many Southwest foodies lack in their lives is an abundance of local wines. Well, I am here to tell you that there is hope for us yet! Just about an hour outside of the San Antonio airport, the city of Fredericksburg houses nearly two dozen wineries along Highway 290. Known for its beauty and charm of the Texas hill countryside, Fredericksburg is an exceptional wine destination in the southwest. Ideal for couples, friends, and adult family members traveling together, this region of the Lone Star State offers the enjoyment of wine tasting your way around an area without all of the unnecessary vexations that often come with high-traffic wine regions. 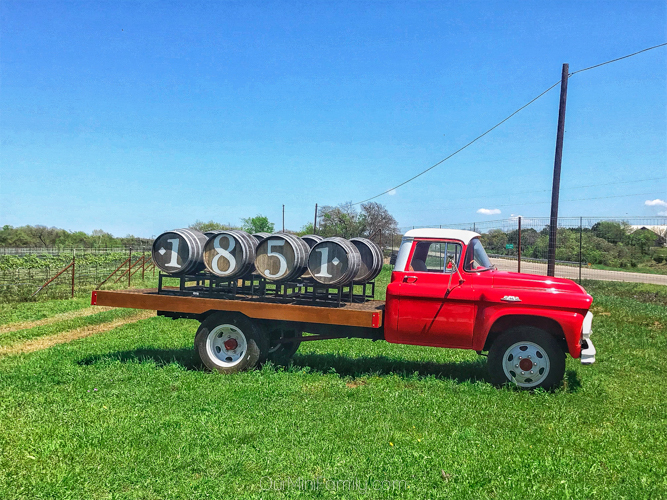 Plan a long weekend and pick and choose your favorite wineries you want to visit, or stay and make it an entire weeklong vacation while you enjoy tasting your way along Highway 290 and exploring all that there is to do and see in Fredericksburg! Travel tip: If you are traveling as a group, call the winery ahead of time and confirm if you need to make a group reservation before arriving. 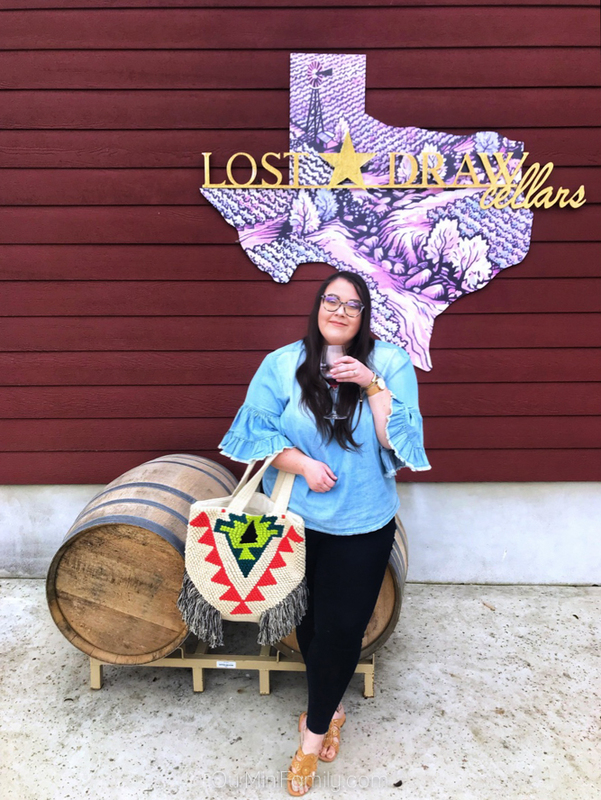 Opened in 2013 by a grape farmer, a civil engineer, and a retired oil and gas distributor, Lost Draw Cellars quickly became a household name in the Texas wine community. Their grower, who is revered around the state for his grape-growing abilities, had the vision to foster a community where locals and wine-enthusiasts alike could come to sample and relish in Texas wine. Their wines are dry across the board, and their wines are strictly made with only Texas high plains fruit. What sets Lost Draw Cellars apart from some of the other wineries along Highway 290 is their grape production. They are able to both start and finish the winemaking process for the wines you can sample at Lost Draw Cellars. Their growing region, located in Lubbock, is about 5 hours northwest of Fredericksburg. Additionally, they are the largest supplier of Texas high plains grapes to over 30 other wineries, and they are the second largest grower of grapes in the entire state of Texas. You can bookmark Lost Draw Cellars on Yelp here. 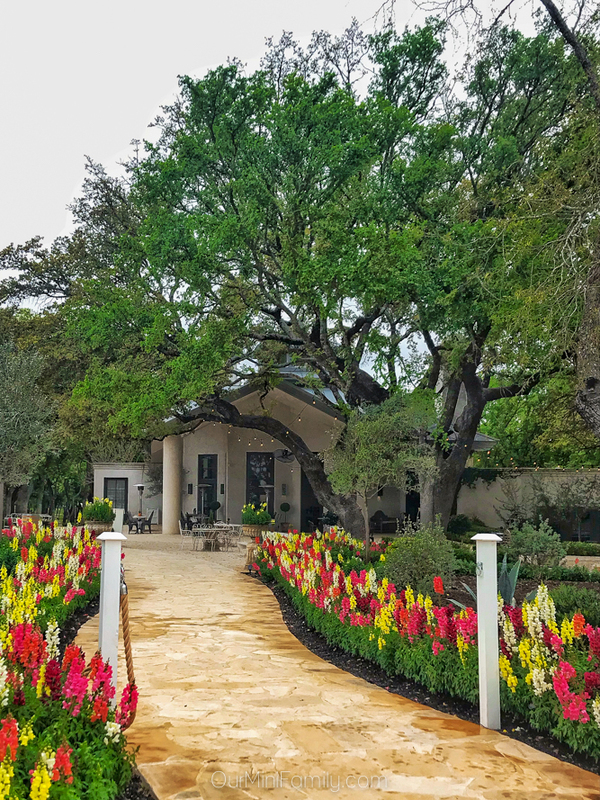 If you want a more elevated, European-inspired vineyard experience set on stunning landscaping accompanied with aesthetically-pleasing design, a visit to Signor Vineyards is a must. For three generations, run by the Signor and Weisinger families, Signor Vineyards has produced world-class handcrafted wines harvested right in the heart of the rolling hills of Central Texas. Their #1 selling wine is their 2016 Roussanne, which is made with 100% Texas-grown fruit. While the majority of the wineries in Fredericksburg focus on producing Texas-grown wine, Signor Vineyards offers a number of Oregon-grown wines (including my favorite I tried while visiting Signor Vineyards which was the 2017 Pinot Gris). Above all else, the management at Signor Vineyards' sole focus is providing the guests with a well-rounded, exceptional wine tasting experience that offers the best wines they can provide regardless of where the fruit is grown. You can bookmark Signor Vineyards on Yelp here. 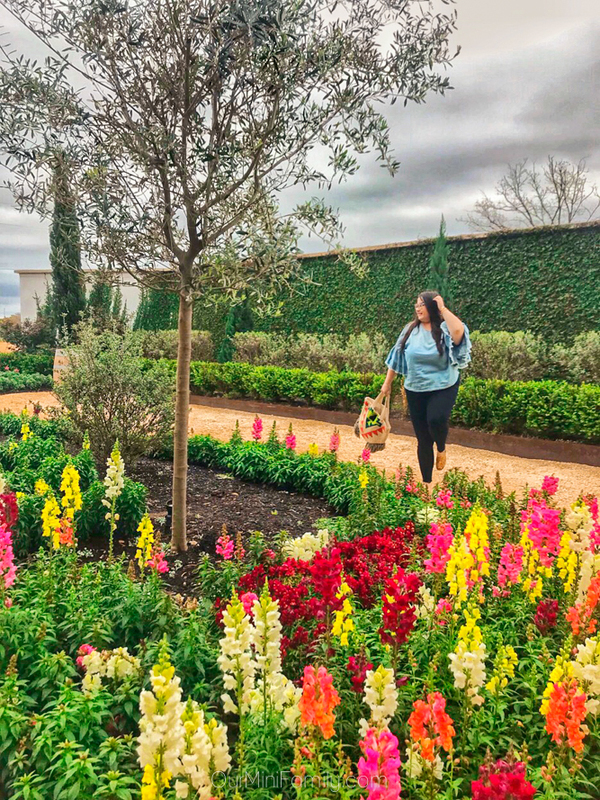 Situated on a Texas Hill Country landmark that was founded over 150 years ago, the beauty and the history of the grounds at 1851 Vineyards is a sight to see for Fredericksburg visitors. Originally the property was run as a flour mill, and the remaining historical buildings on the grounds include the original barn, main house, guest house, and smokehouse. 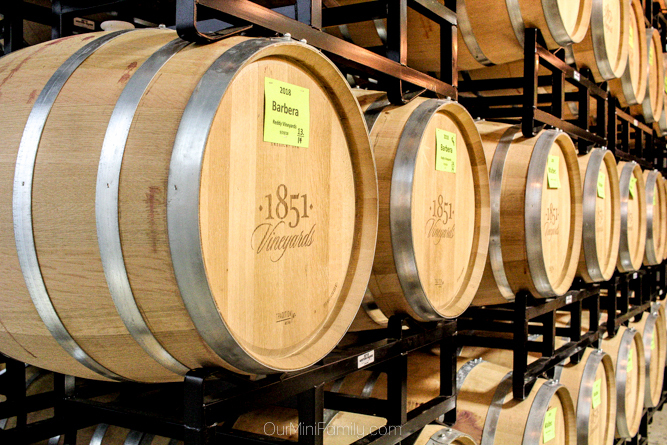 Run by the Hollimon family, 1851 Vineyards offers reservations for their wine tastings, tours of their production facility, as well as an all-inclusive tour that includes a barrel tasting. What they highly recommend: If you're celebrating a special occasion and if you want to splurge, the 2016 Estate Tannat is a great choice, as well as their Family Cabernet Sauvignon. You can bookmark 1851 Vineyards on Yelp here. Home to 56 acres of vineyards, Becker Vineyards offers stunning countryside views and a seasonal lavender flower field (often the end of April or early May). With over 20 years of viticulture and award-winning winemaking, the Becker family aspires to maintain the old-world feel guests yearn to feel while visiting their vineyards. Originally, the Becker family bought the property as a vacation home. 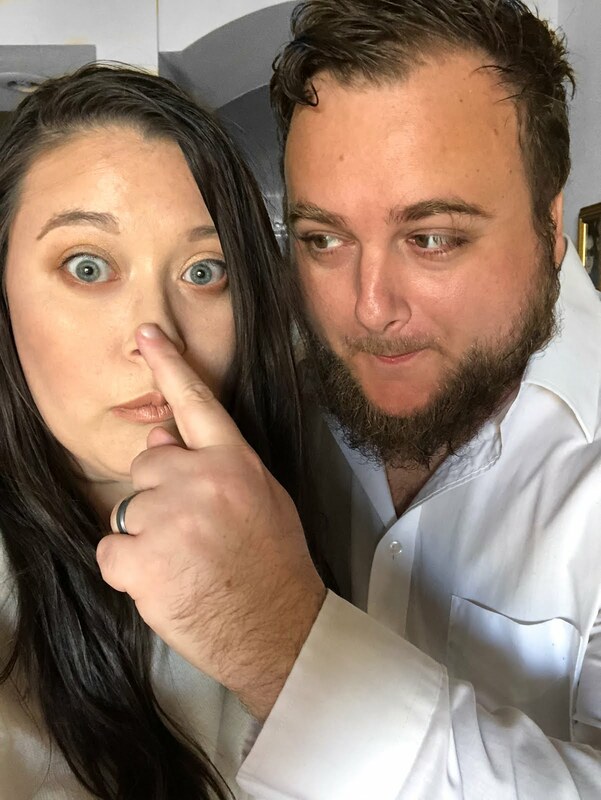 Their love of shopping for antiques repeatedly brought them to the Fredericksburg area, and when they found the property was in foreclosure, they bought it and then settled in so they would not have to drive all the way back to San Antonio. Upon arriving, Dr. Becker looked out over the back of the property where there was a large, rustic farmhouse with a large stone patio overlooking the field. Reminding him of the southern Rhône region of France, the Becker family decided to plant an acre of grapes so they could have their own family-grown wines for the meals on the weekends after antique shopping. Growing from one acre to ten acres and more, the Becker family began developing on the new land they purchased and have continued to bring their vision to life since 1990. Now home to a 10,000 square foot facility, Becker Vineyards has undergone three winery expansions to include 74 fermentation tanks as well as 4,500 barrels used during the aging process. 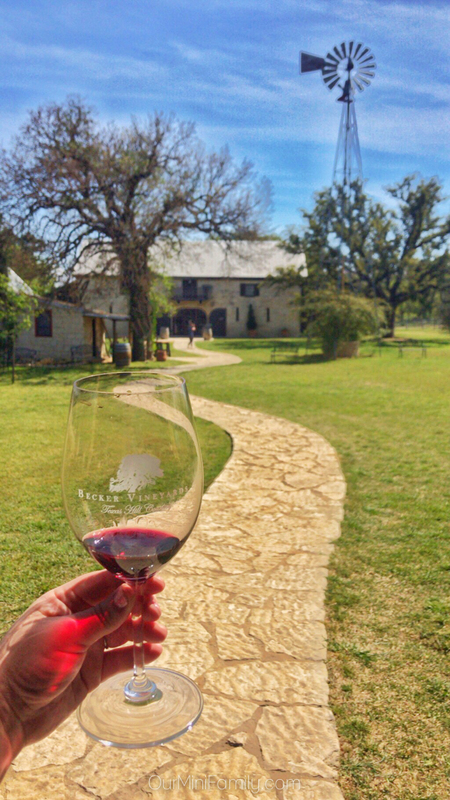 You can bookmark Becker Vineyards on Yelp here. Be sure to save this post to Pinterest or your Facebook page, so that you can plan your trip to Fredericksburg wine country! I must admit I wouldn't have thought of Texas with wine, but you make it sound worth considering. Lovely images that make me want to visit and taste the wine. I know just what you mean! It's a well-kept secret that the Texas hill country has some incredible wineries! We don't have winery here but I visited some winery in Australia, it was a fun experience. The winery in Australia is so much smaller than the one in America. I have passed by some winery in California Napa area but too bad I did not have enough time to go in. The winery look super huge. My cousin is living in Texas and I hope to pay a visit to him one day and hope to explore the winery there. Anyway, thanks for your tips. You're most welcome! Hope you get a chance to travel out here again soon! I love vineyards more than anything else, as much as the countryside is a place of natural beauty and relaxation! This is a dream! Hope you also bought strudel! 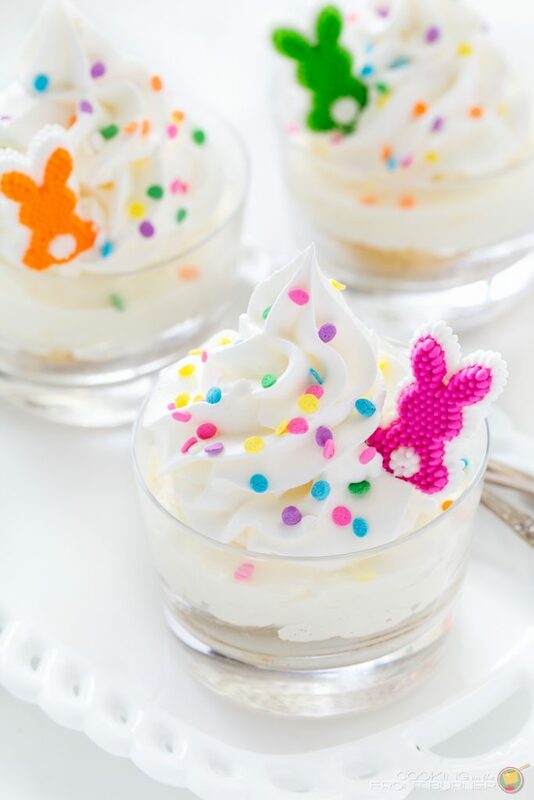 Thanks for pinning, Patti! Yes, I definitely got my hands on some strudel...and a Bavarian pretzel! Lol! 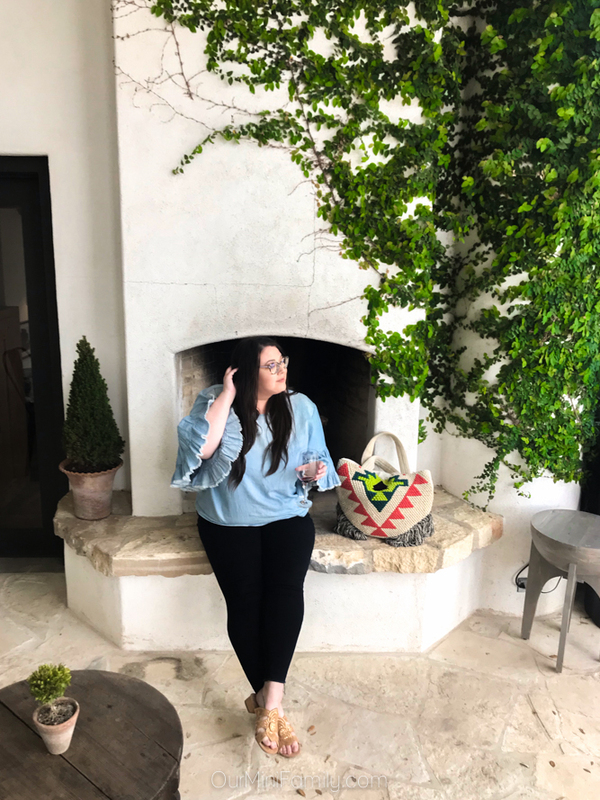 Texas wouldn't have been the first place I'd have thought of wine tasting but it sounds like there are a number of different fantastic wineries! So many delicious wines. Oh my gosh, yes they have so many! Definitely worth considering next time you're making travel plans! I wish to live in Texas and would go to Fredericksburg on the weekends. It's such a lovely place to shop and drink wine! I really miss it alot. Thank you sharing your pictures brought back some good memories for me. I love Texas, but have never been to those wineries. Looks like a perfect place to visit for a wine lover like me. Wow this place looks incredible. There’s so much wineries to see there! Looks like a brilliant place to take the whole squad. It is still an interesting visit if you don't drink alcohol? Absolutely! I am actually working on a new blog post that is entirely dedicated to the amazing food that is there, and there are some really fun activities and even festivals depending on the time of year you visit. Right now, their wildflowers are in bloom so it was great to walk around the farms to see the flowers, shop the local goods, etc. Fredericksburg is awesome and not just about the wine. I loved the way you captured the whole essence of wineries in Fredericksburg and the vineyards. Your presentation is awesome. i have to figure out how far these are from san antonio. i'd love to go to vineyards! How interesting! We never heard of wine tasting in Texas! We are huge Napa fans- how does Texas compare to Napa? There are definitely fewer tourists in Texas wine country, so you should expect a more relaxed environment and have less traffic/bookings for tastings. It was! Hope you can go enjoy it some day! I love going to the vineyards. I'm lucky to be on LI where we have plenty of beautiful wineries to check out on the east end. It makes for a great day trip. I'd love to visit these Texas wineries someday too! They are beautiful! Oh my gosh they really are wonderful wineries and I hope you can visit someday, too! I love this place, I would love to visit vineyards very soon. I think this is one of a beautiful wineries. There really are so many stunning wineries here! It's definitely worth a visit to check out Fredericksburg! We don't drink but we still enjoy visiting wine country. There is so much beauty all around and someone has to be the driver. All you have to say is wine and I am there! This place looks gorgeous and I would love to explore all over the place there. I will definitely keep these wineries in mind if I ever get there. Sounds great! Hope you get to visit Fredericksburg! I visited San Antonio a few years ago but never knew of the paradise in Fredricksburg. I would love to se eee those sprawling vinyards. Maybe it's time for another visit! I can't wait to visit Texas. This looks like such a fun experience. I love visiting vineyards. Oh how fun! Were you in town to see the wildflowers? I'd love this place. I am all about the old world beauty, flowers, stones, etc. and I love a good cab. Fun post. Yes, the old world beauty of it is truly stunning! And thanks! Wine tasting is my favorite of mine. Texas is the perfect place for me! I will visit this place next year. What a beautiful day of wine tasting and fabulous outdoor beauty! My husband and I enjoy it when we have a chance to relax and visit some vineyards. That's great! Yes, Adam enjoys wine tasting for sure. What gorgeous scenery! My group of girlfriends like to go out once a month, no kids or husbands and a going to a winery is fun! There is none in our area that look as beautiful as these ones. We just got back from Texas, we stayed in the Houston area but would lvoe to go back and explore different cities. Signor Vineyards sounds like somewhere my husband and I would truly enjoy! Especially for its European vibe. My hubby is from Europe and so I think he'd truly appreciate this vineyard! Hope you get to visit some day, Lynndee! Great to know that there are wineries in Texas! I would love to visit these places with some friends. Yes, I totally wanna go back there for a girls trip! It would be so much fun! I don't even drink but would be tempted to go for a vsiit simply because of how beautiful it is there! It's stunning out there, and there is plenty to do in Fredericksburg if you don't drink! These pics look great, thanks for sharing! We love wine tasting. Hubby and i are going wine tasting tomorrow. Oh my gosh how fun!!! I am jealous!